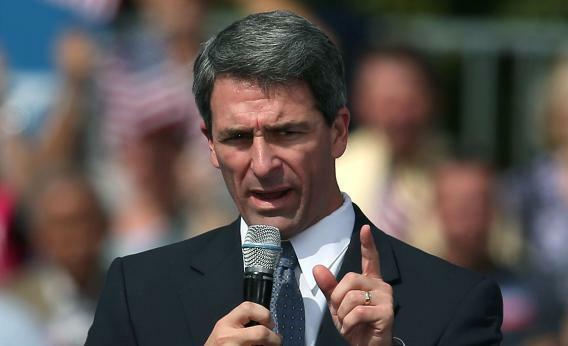 A progressive transportation plan from Ken Cuccinelli. Having shook my head in disbelief at Virginia Gov. Bob McDonnell’s regressive plan to end the gas tax and raise sales taxes, I must credit Attorney General Ken Cuccinelli for dreaming up a much better plan. The alternative plan would replace the current gas tax with a sales tax on gasoline that could rise with inflation and produce more money than the current flat tax of 17.5 cents per gallon. Compare that to McDonnell’s plan, which replaces the gas tax (paid by people who drive on roads) and raises the sales tax (paid by everybody). That plan also raises money by taxing alternative fuel vehicles—that part of it has already been stripped by legislators. If I didn’t know better, I’d think McConnell introduced something dreadful in order to repair the images of Cuccinelli and state legislators. Until 2011, when Republicans replaced a Democratic state Senate with a 20-20 split, their most conservative—social and economic—legislation would get frozen in the Assembly. But part of 2012 was spent debating a transvaginal ultrasound bill that only became credible because of the newly divided Senate. This year has brought a flurry of Republican-friendly legislation, starting with the mid-decade gerrymander plan pushed through on Inauguration Day. Lt. Gov. Bill Bolling, a Republican, just cast the tie-breaking no on a Senate voter ID bill—just as he talks about running as a moderate independent alternative to Cuccinelli. It’s just a problem for Republicans. Its national leadership, in D.C., is working very diligently to rebrand itself as an economy-only responsible party, one that you shouldn’t blame for gridlock and failure. And two hours down the road, under the watch of Washington Post reporters, Republicans in power keep behaving the “wrong” way.